Like front kitchen floor plans, rear kitchen floor plans give you lots of counter space for meal prep and plenty of storage. Located at the back of the unit, a rear kitchen floor plan is the perfect set up for RVers that enjoy entertaining or camp with large groups. 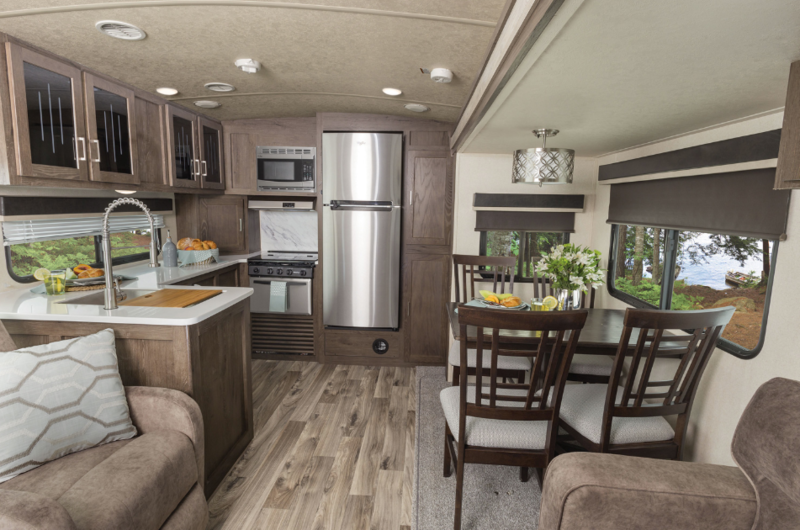 A rear kitchen floor plan maximizes space in your RV and gives you plenty of room for preparing meals! This is ideal for campers that travel with a large group or love to entertain. As you’d guess by the name, rear kitchen floor plans have the kitchen area placed in the back of the unit. This gives you a roomy center section for seating and is a true open layout. Often rear kitchen floor plans are designed in a way that allows for a small “L’ in the counter for even more room! With this layout you’ll never miss out on any of the conversation while prepping dinner! You'll find rear kitchen floor plans in many types of RVs, including travel trailers, 5th wheels, and destination RVs. Rear Kitchen Floor Plans Give You More Counter Space and Storage. 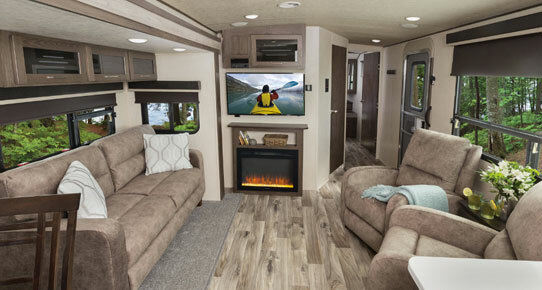 Shop our online selection of RVs with rear kitchen floor plans at your convenience or visit our dealership to see your favorite models in person.